Farming is essential when it comes to sustaining life everywhere. But even with working farms present and producing food in every country throughout the planet, millions of children, adults, and animals go hungry each and every day of their lives. Vertical farming saves resources in a variety of ways. First and foremost, lots of space is saved due to the stacking of each plant in the farm, which means more food can be grown with less land. Because much of the water used in vertical farming is recycled through hydronic techniques, the process saves a significant amount of water on a daily basis. And with crops being grown so close together, lighting them tends to be easier, which saves money on energy costs when the use of artificial lighting is needed. 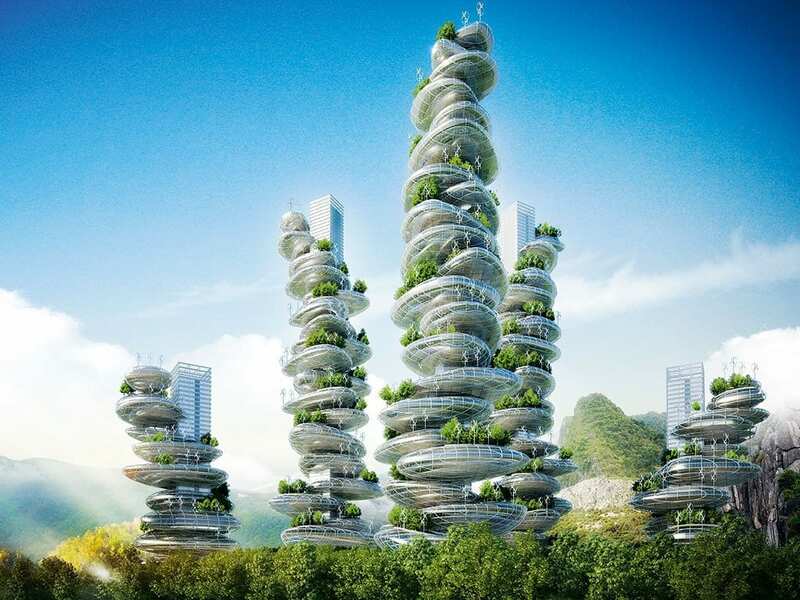 Vertical farms can be constructed in a myriad of different environments both indoors and out, making it easy to start growing food after a natural disaster occurs or in areas where space is extremely limited. Vertical farms can also be successful in drought circumstances, and if based indoors they hold up well to extreme weather conditions, too. Thousands of heads of lettuce can be grown in just 25,000 square feet when vertical farming methods are used. This means that if every community incorporated vertical farming methods into their way of life, they’d be able to feed themselves for little cost and with the need for minimal resources. Vertical farms can support all kinds of different crops from berries and tomatoes, to greens and potatoes, so meeting the nutritional needs of everyone should not be a big concern for vertical farmers. Not only does vertical farming provide a solution to growing food within the chaos of climate change, but the process itself helps to relieve some of the stress our climate faces. A vertical farm leaves a smaller carbon footprint on the planet than a commercial farm, or even an urban farm. It releases fewer C02 emissions, requires less coil and soil for production, and reduces food costs overall. These considerations make it easy to see how important of a role vertical farming can play in our delicate world where so many people go hungry and far too many resources are being used.